So, my lesson of the day is this: There is a reason you’re supposed to clean off your fingertip before a blood test. Also, Buffalo Pretzel Chips may look orangey BUT even if you can’t see it, there may some buffalo goodness sticking to you. That sounds creepy. Sorry. You get the point. 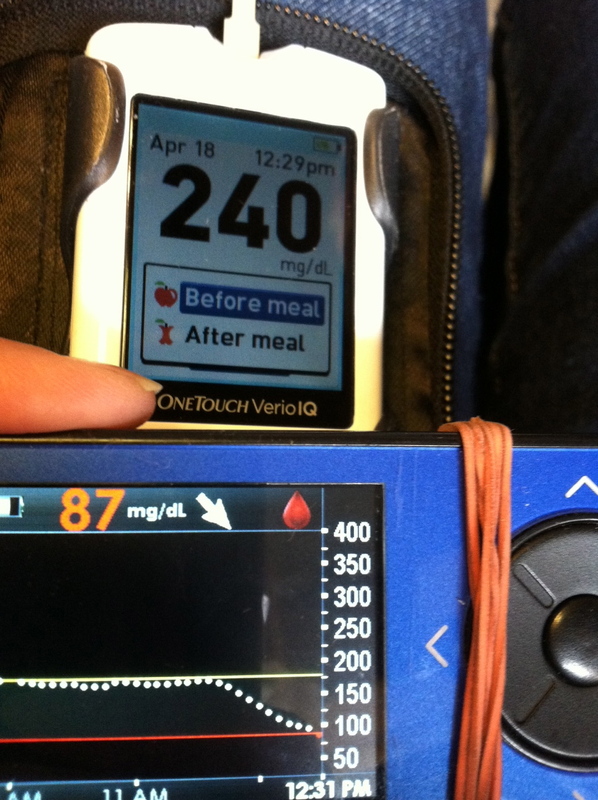 Almost 34 years as a T1D. Relearned hand-washing today. 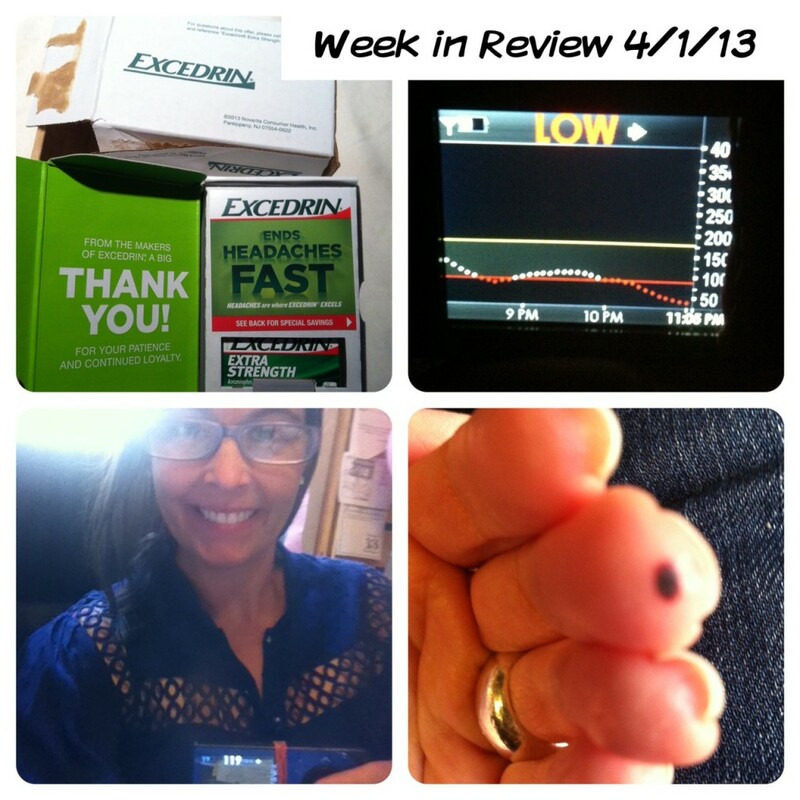 Clockwise from top left: Imagine my surprise when I received a thank you gift from Excedrin in the mail! I was a little confused about the part that thanks me for my “patience”. Was there an Excedrine shortage or something? Maybe it’s thanks for being patient during a migraine for the Excedrin to kick-in (like I have any other choice)? Any way you look at it, it’s nice to get free stuff. If any diabetes device or pharmaceutical companies are listening, I like free, surprise, thank you gifts. I’ve had 2 days and 3 nights of too many low bgs. 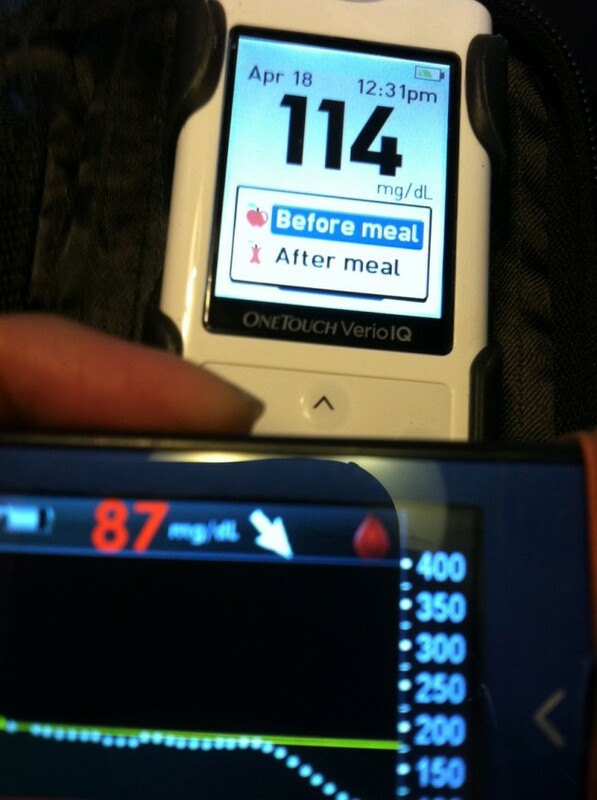 Last night I had the actual LOW reading on my Dexcom. It was scary, it was there for a really long time, and even when I started to come up, it was snail-pace slow. I joked yesterday that Glucolift tablets are becoming a food group in my world. The real joke is… I’m not joking. Happy Blue Friday! New blue shirt, blue Dexcom and sort-of bluish glasses. What do you think that last photo is from? Awful finger prick? A girl who’s using a very blunt lancet? Nope, got my finger tip caught between and anvil and a rubber mallet the other night. It really does look like a D injury though doesn’t it? Gotcha!